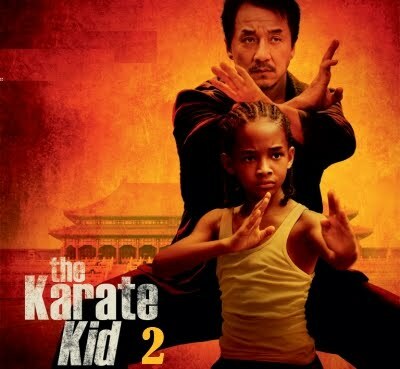 The movie Karate Kid 2: trailer, clips, photos, soundtrack, news and much more! Scriptwriters Cyrus Voris and Ethan Reiff, who wrote the script of Kung Fu Panda, have been hired by Sony to pen the screenplay of Karate Kid 2. May we expect Jaden Smith to become a fat panda in the sequel to Karate Kid? “Every now and then we discussed the sequel. The truth is, when you see Jackie Chan and Jaden Smith, they’re like a really good film couple. And I guess both Jaden Smith and Jackie Chan would be glad to reprise their roles for a Karate Kid sequel. So I guess it’s almost a done deal: we may expect the movie Karate Kid 2 to be released in the next 2 years.